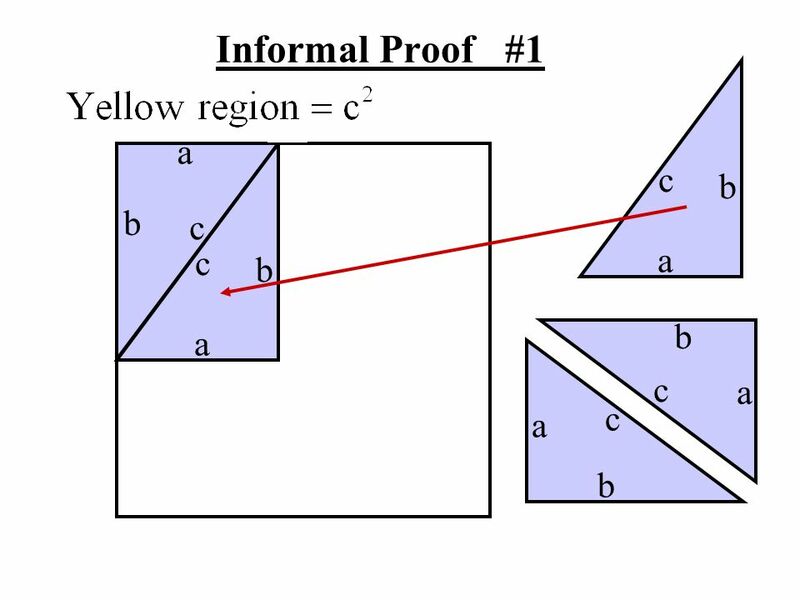 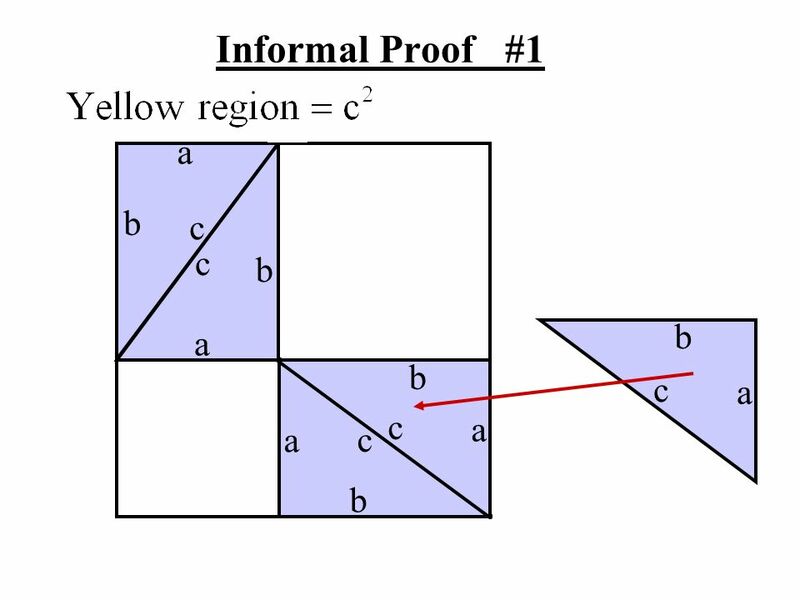 1 Objective- To solve problems involving the Pythagorean Theorem. 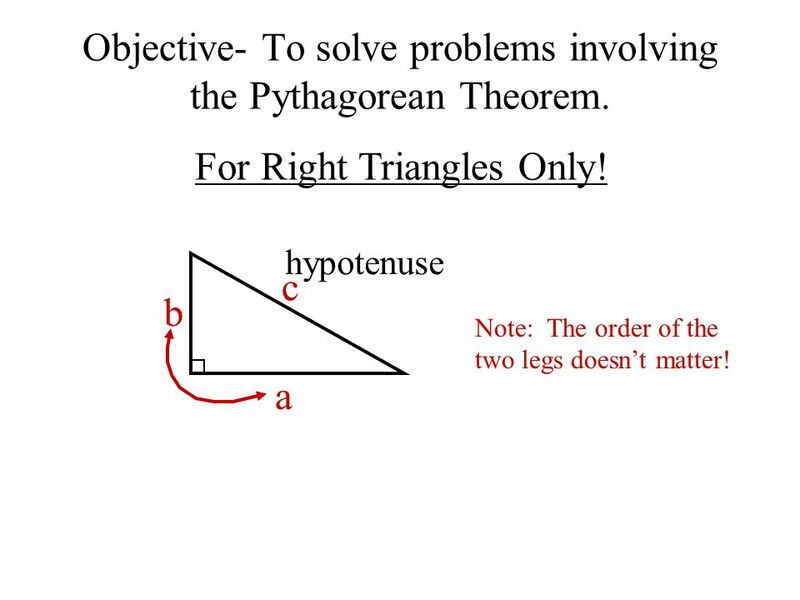 2 Objective- To solve problems involving the Pythagorean Theorem. 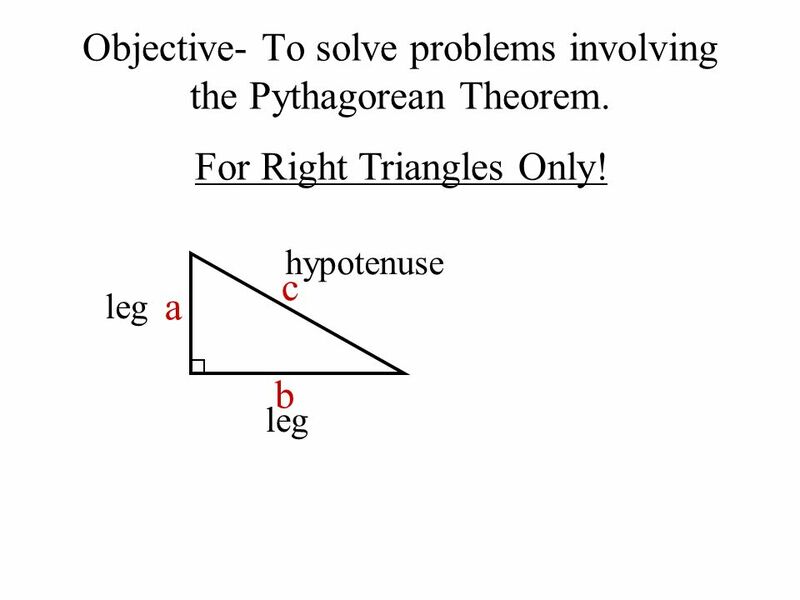 3 Objective- To solve problems involving the Pythagorean Theorem. 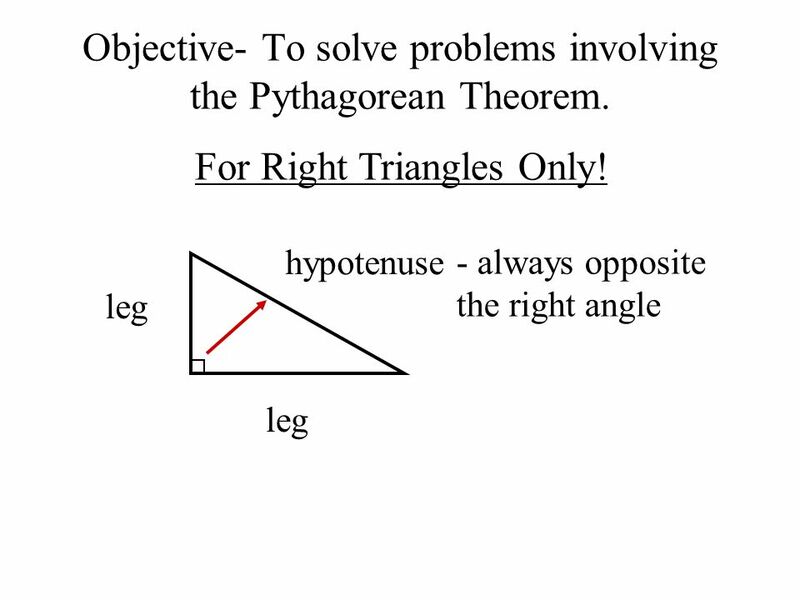 4 Objective- To solve problems involving the Pythagorean Theorem. 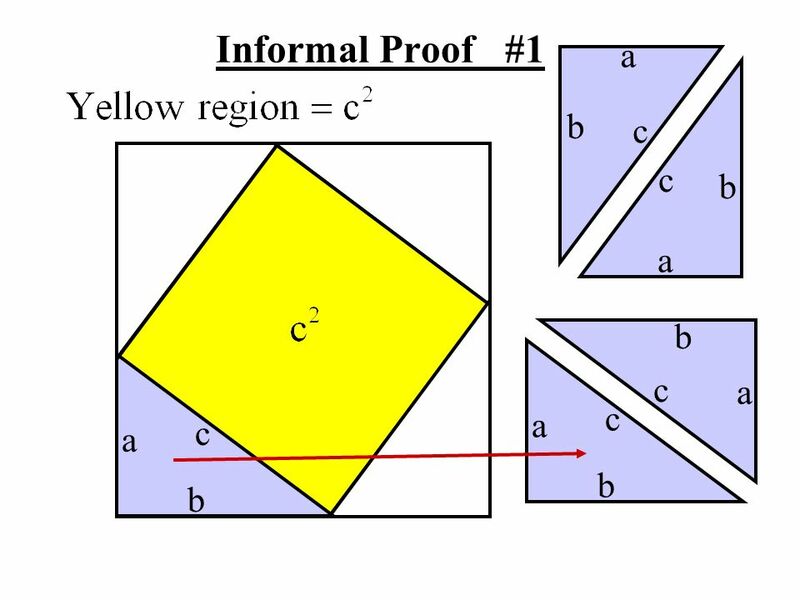 of the diagonal of a rectangle with a width of 4 feet and a length of 10 feet. 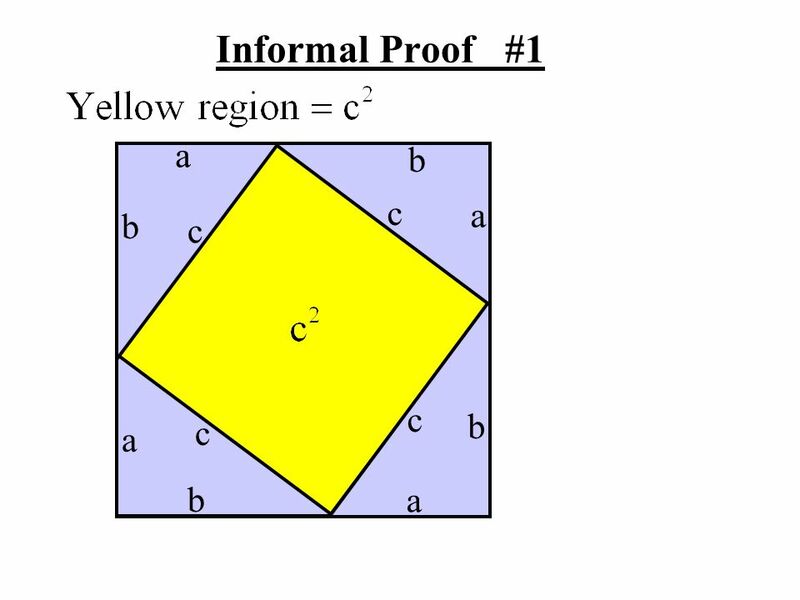 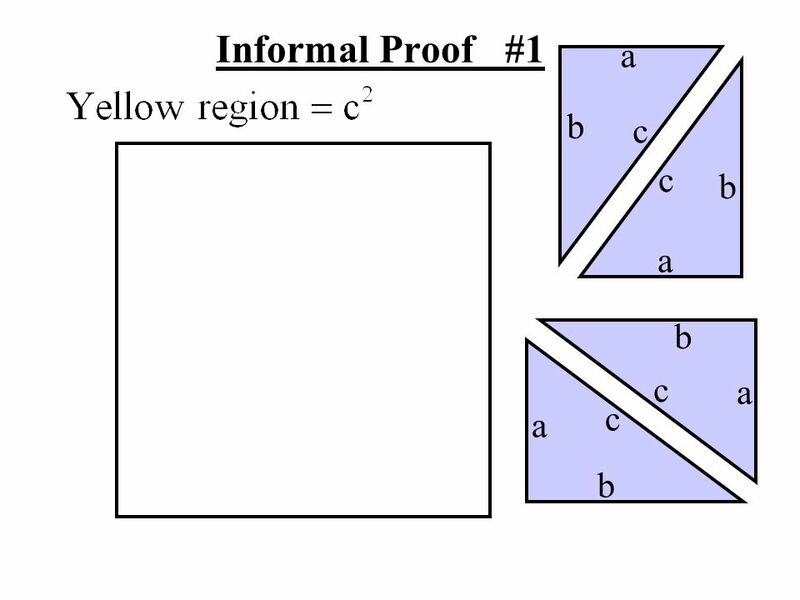 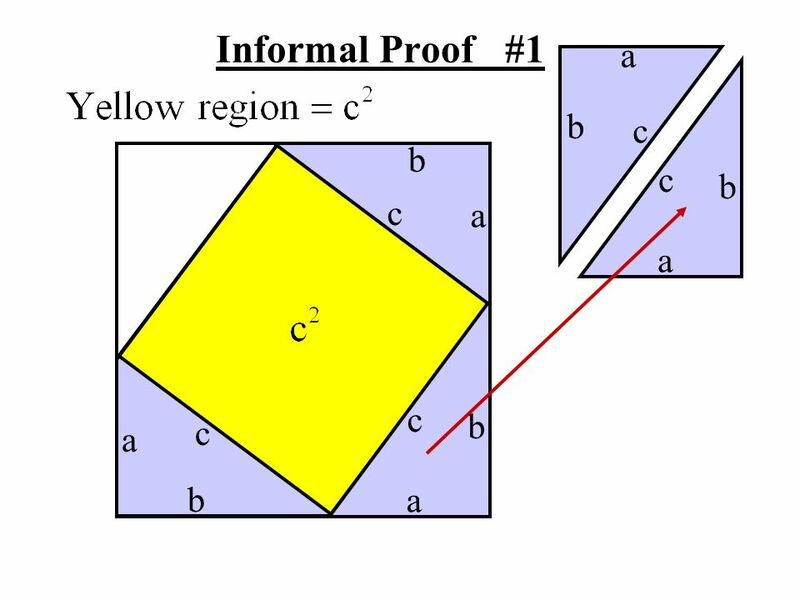 x 4 ft. 10 ft.
12 Informal Proof #1 Inscribe a square within the square. 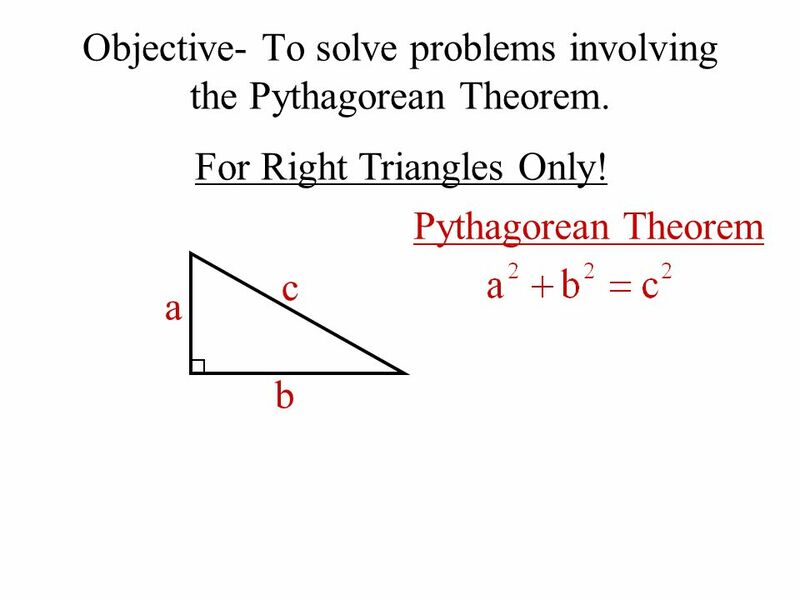 Download ppt "Objective- To solve problems involving the Pythagorean Theorem." 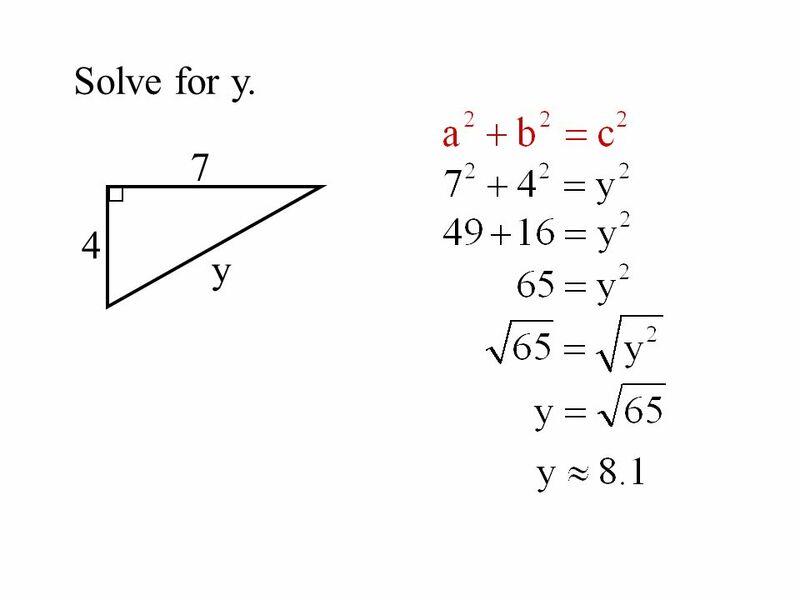 G2.a How Do I Apply Properties of Right Triangles including The Pythagorean Theorem? 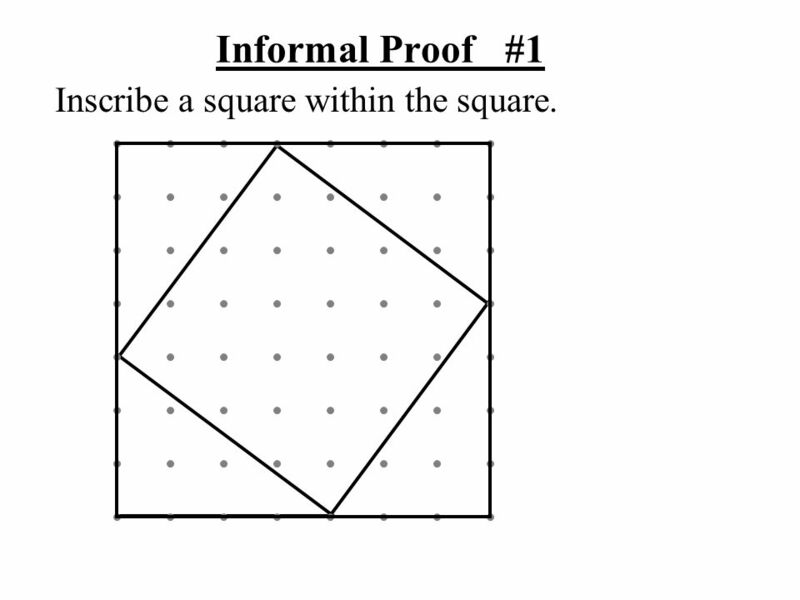 Warm Up Problem of the Day Lesson Presentation Course 3. 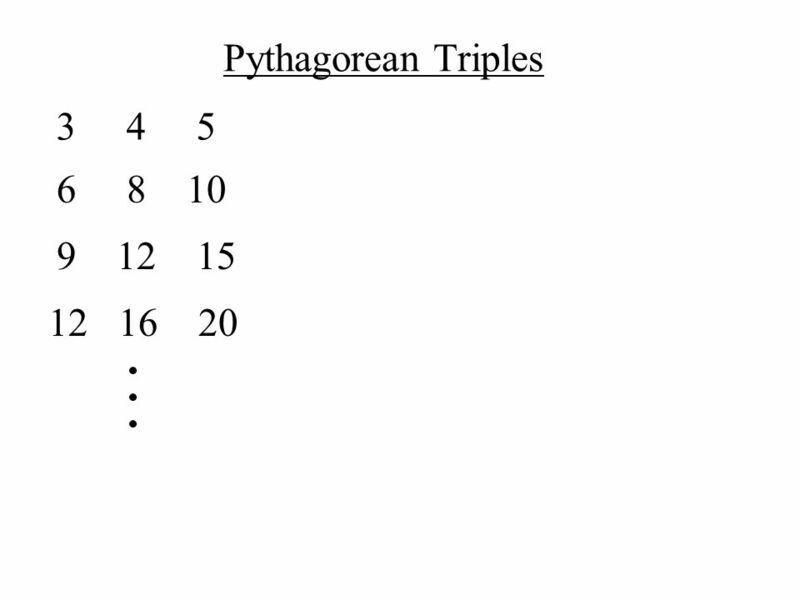 Looking For Pythagoras Practice, Practice, Practice! 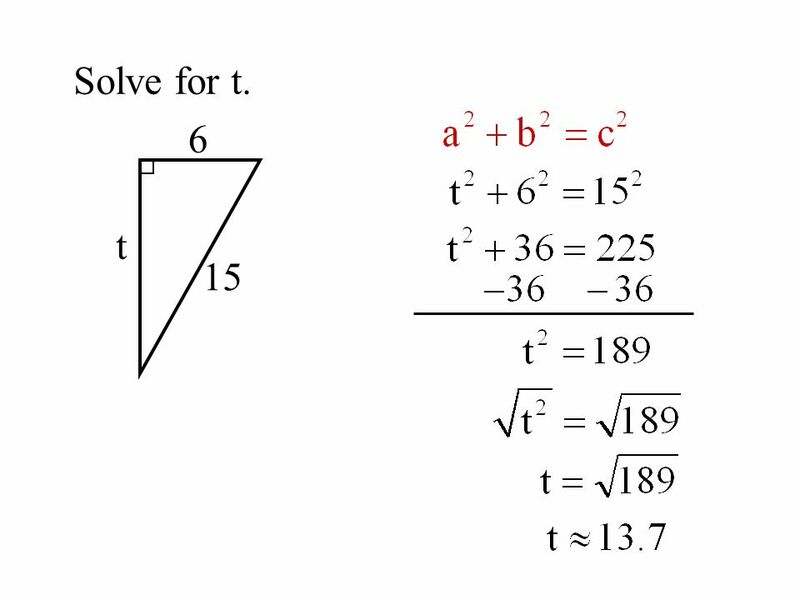 CH 8 Right Triangles. 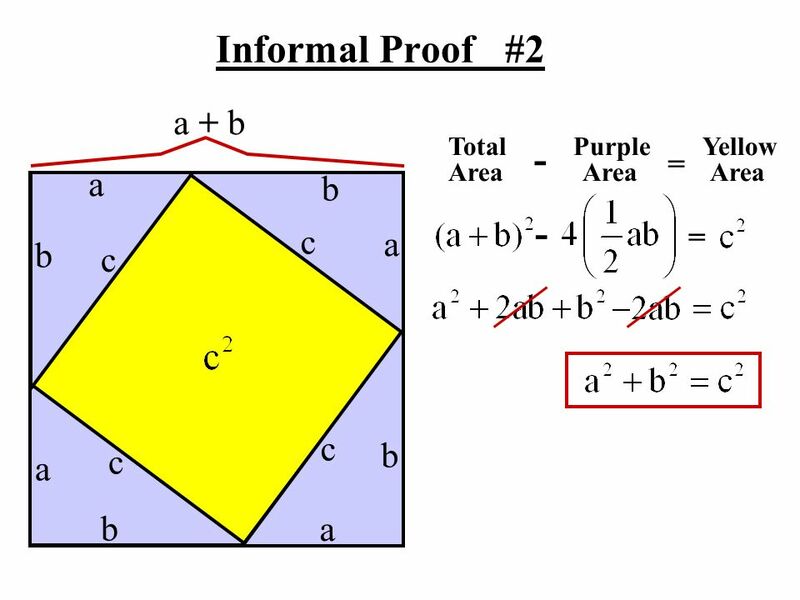 Geometric Mean of 2 #’s If you are given two numbers a and b you can find the geometric mean. 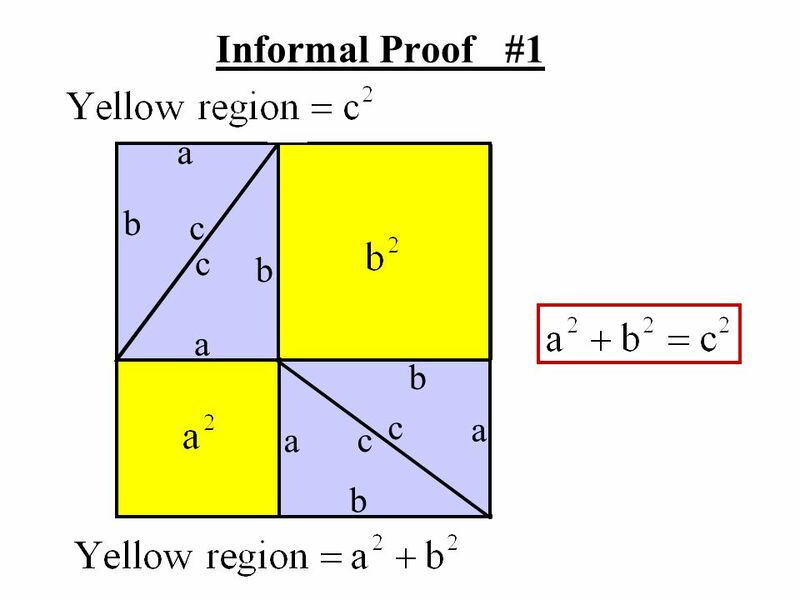 a # = # b 3 x = x 27 Ex ) 3 and 27. 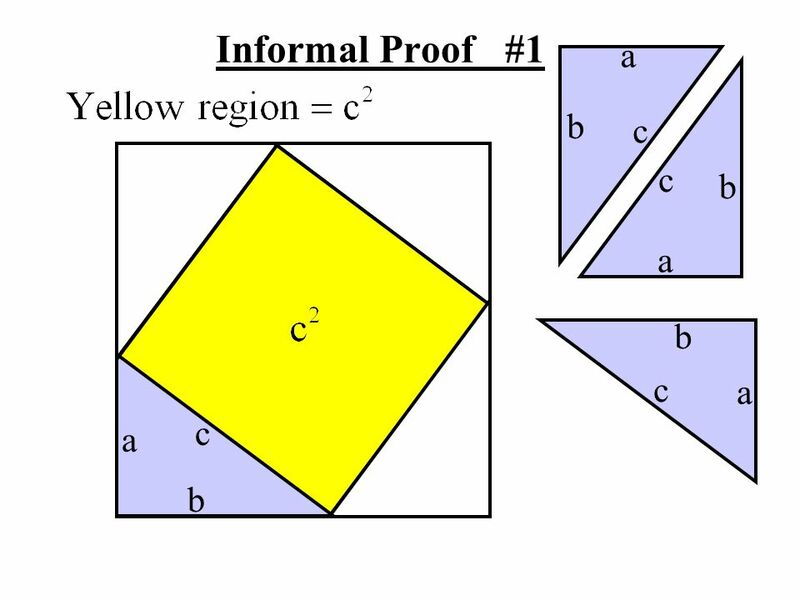 1 30°-60°-90° TRIANGLE 45°-45°-90° TRIANGLE PROBLEM 1 PROBLEM 2 PROBLEM 4 PROBLEM 5 Standard 20 END SHOW PRESENTATION CREATED BY SIMON PEREZ. 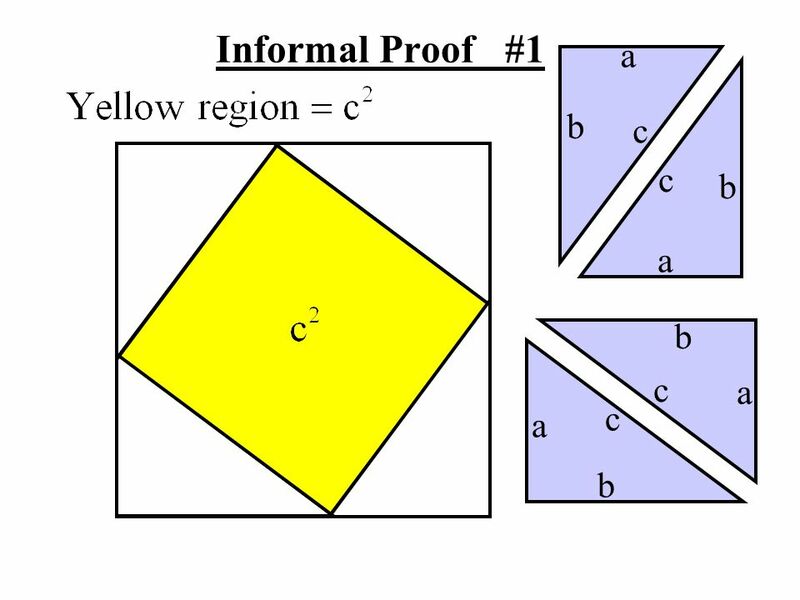 All rights. 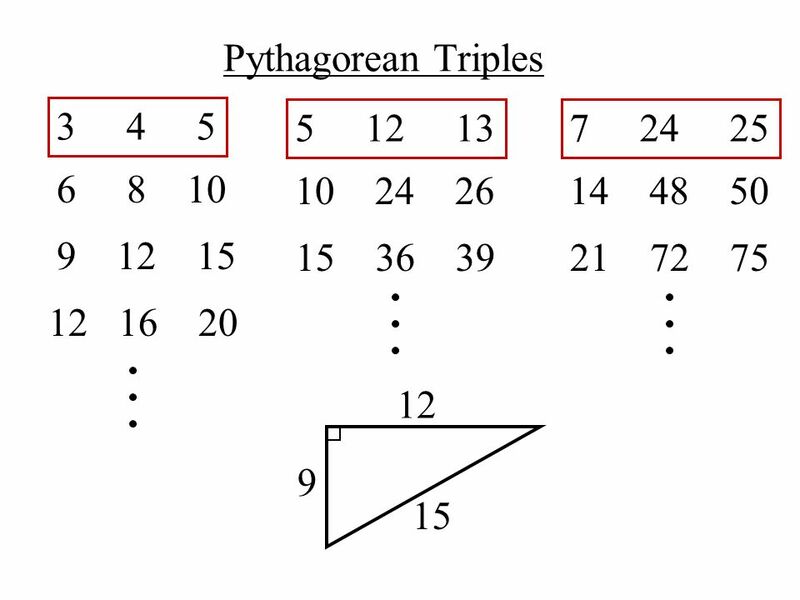 Phythagoras Solving a missing side of a right angled triangle. 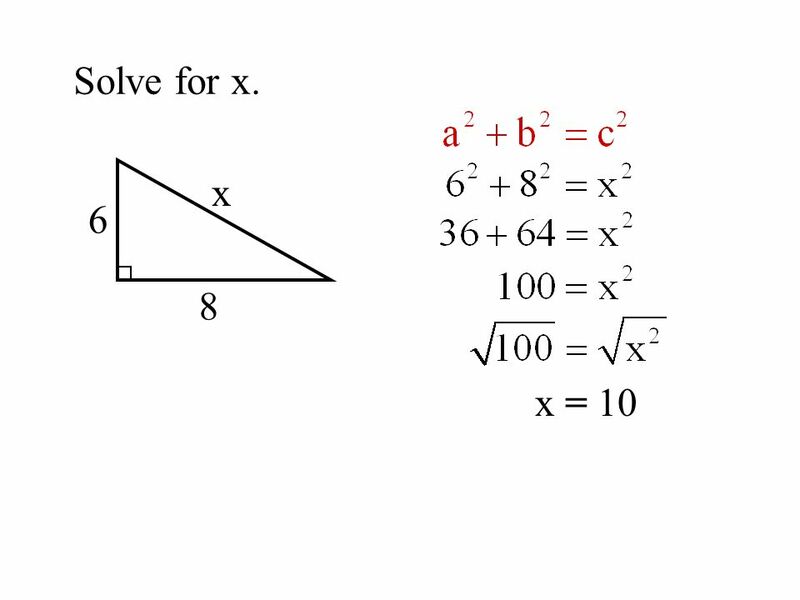 Miss Hudson’s Maths. 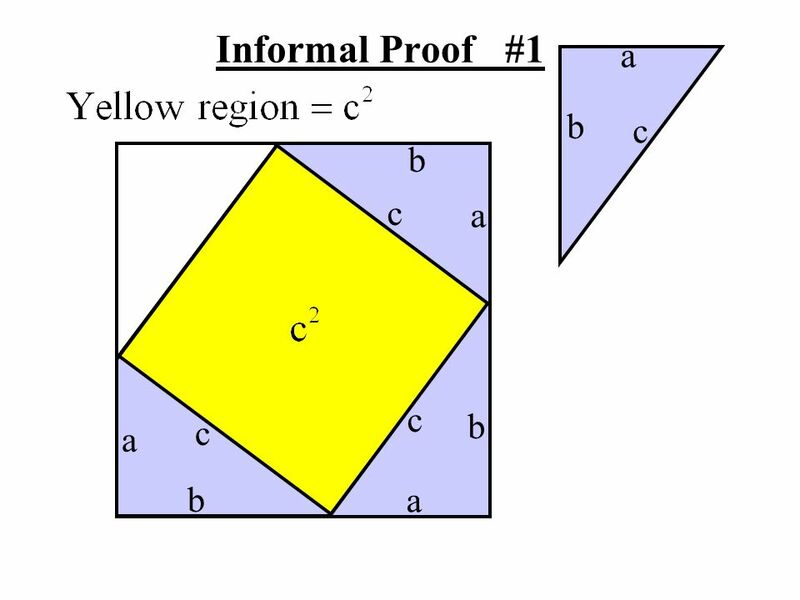 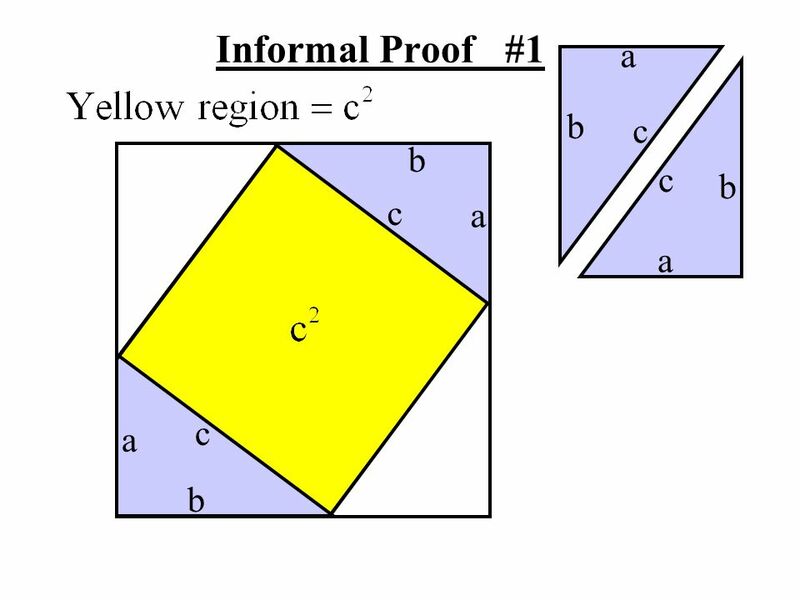 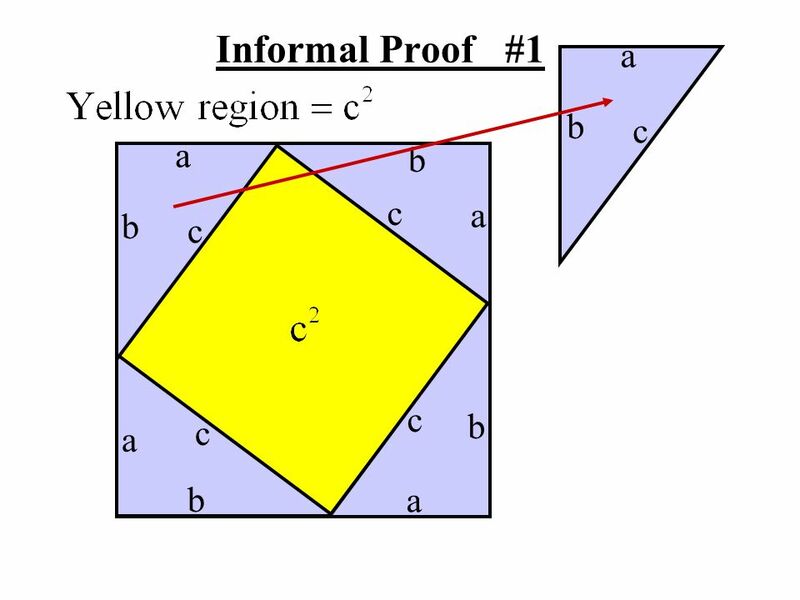 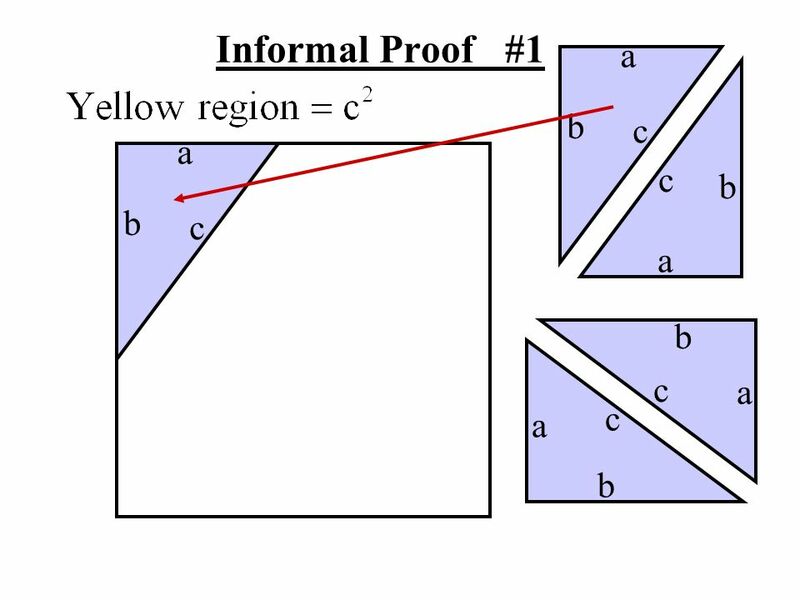 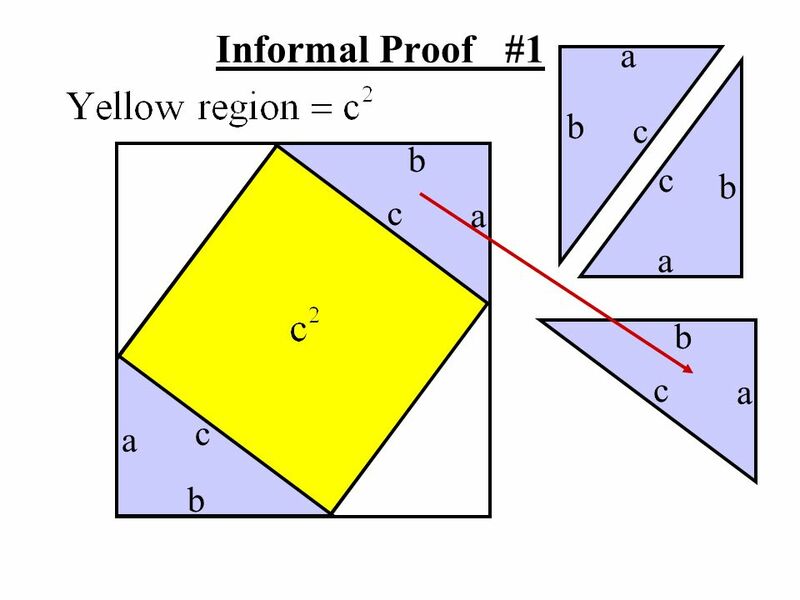 The Pythagorean Theorem c a b. 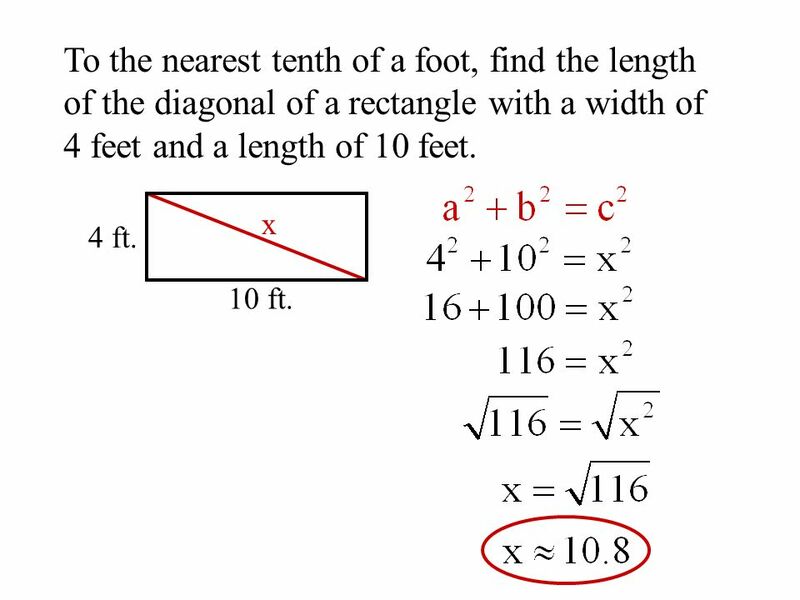 Warm up Write the equation of the line that: 1. 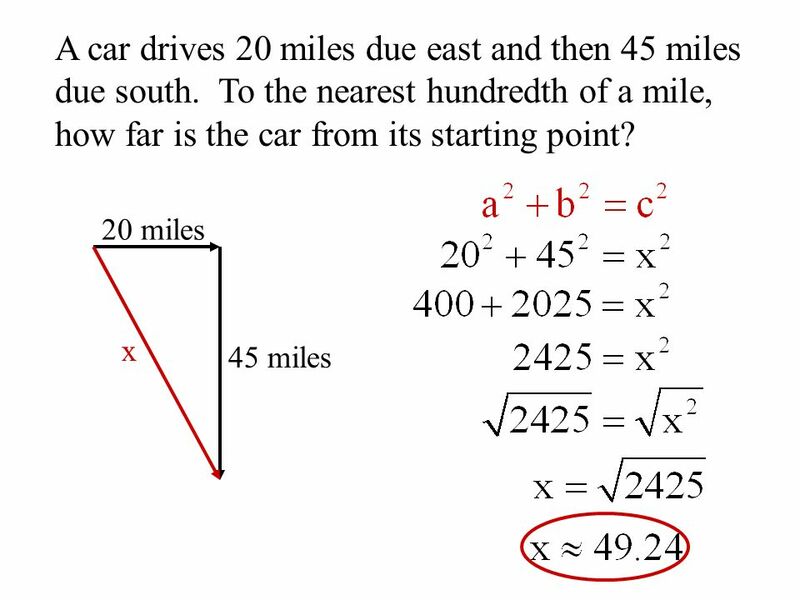 Is parallel to y = 3 and goes through the point (2, -4) 2. 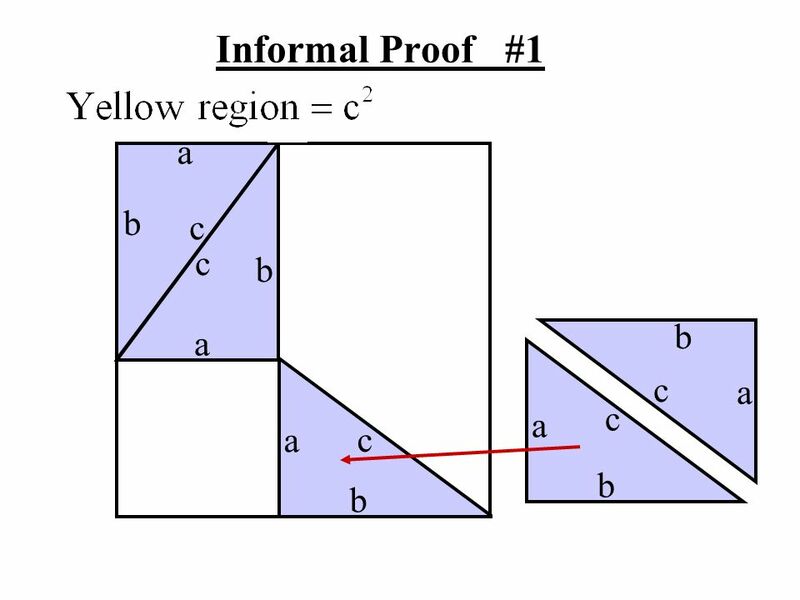 Is perpendicular to y = 2x + 6 and goes through.